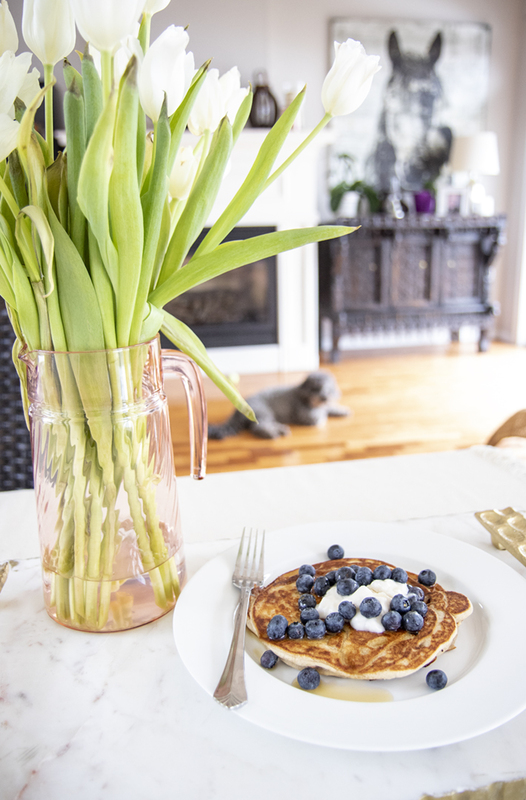 These gluten free banana blueberry pancakes are so delicious and super easy to make! The texture was super thick yet fluffy so it turned out really well. 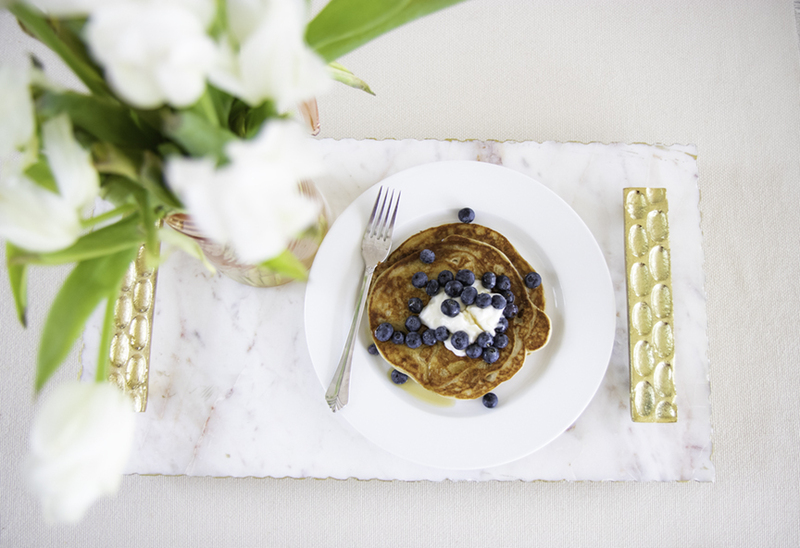 Cook at low temperature on the stove (medium to low heat) because the banana makes the batter easy to burn. 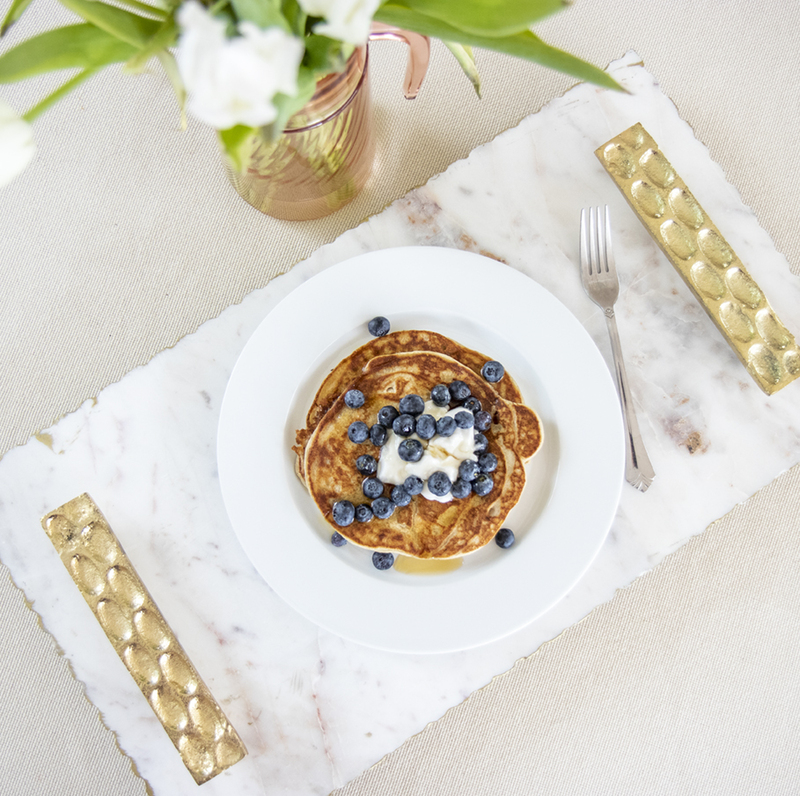 Sprinkle with wild blueberries (or any organic berries you can get your hands on), top with a generous dollop of coconut yogurt, pour in premium organic Quebec maple syrup and enjoy! 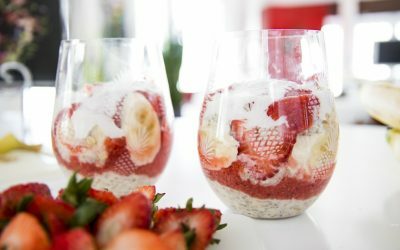 If you enjoyed this recipe you’re going to love my Strawberry Ovenight Oats With Homemade Raspberry Jam recipe!